This is a round Texlite porcelain sign. This particular Texlite sign is brown with white text. 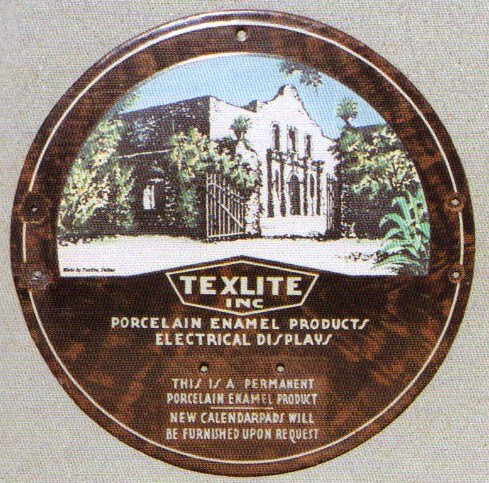 It reads, “Texlite Inc, Porcelain Enamel Products, Electrical Displays, This Is A Permanent Porcelain Enamel Product, New Calendarpads Will Be Furnished Upon Request” and features a white building with a gate at the top of the sign.